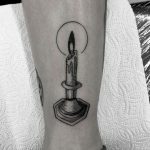 Subtletattoos.com is an online tattoo gallery founded by a group of tattoo enthusiasts. When we started looking for tattoo ideas for ourselves, we realized that there are lots of poor quality content on the web. Even when you know what you want, the vastness of the content on the internet makes you feel lost. And if you don’t know what kind of tattoo you want to get – this becomes a real headache. That’s why we started this website – our main idea is to gather the best tattoo ideas and their meanings into one place. Apart from selecting the most beautiful and best quality pictures, we also try to explain the meaning of each tattoo. We know, that it doesn’t need to mean anything, but isn’t it more fun when it has some symbolical meaning? So, we have a lot of ideas, and we try to update our website every day. Stay with us, and you might discover the perfect idea for your next or your first tattoo!